The idea was to make a very easy to use hand powered inlay tool that was of a size to suit both ukulele and guitar building.Being able to quickly scribe the inside and outside of your rosette channel virtually eliminates tear-out around them. Swapping to a trenching blade to remove the waste is the obvious next step and all done from a central pivot point for complete control. 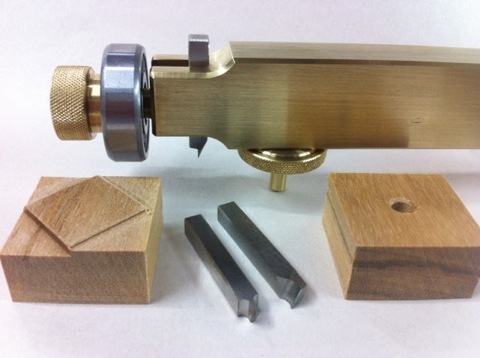 The diameters are set by moving the pivot pin along a sliding dovetail for very accurate and repeatable results.I have been trying out some different blade widths as well and will make blades down to 0.7mm for inlaying a single thickness of veneer as a line around your rosette.Depth of cut is set with the wooden blocks. 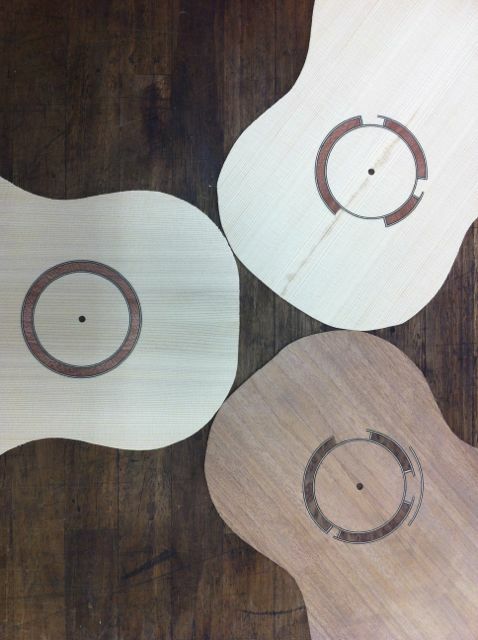 The knife blade is also easily able to cut out the sound-hole as well after all your rosette work is completed. Just scribe from both sides and out it pops leaving a very clean cut behind.